Holy cow! 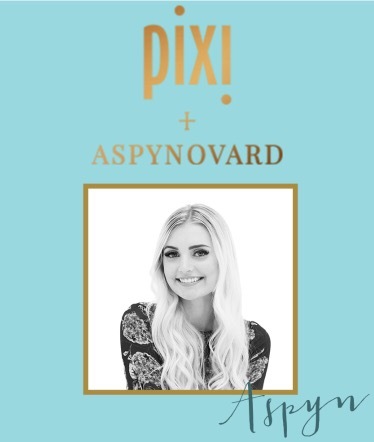 When I found out Aspyn was coming out with her own line of beauty products in collaboration with Pixi, I was over the moon. If you didn’t know, Aspyn Ovard is a lifestyle YouTuber and Blogger. Not only does she have an amazing main channel full of DIY’s, reviews, style, recipes, and fashion videos. In addition, she also runs a vlog channel with her husband Parker, who together are equally adorable. Aspyn’s style is neutral toned, flowy, and comfortable. Her makeup choices and outfits definitely coincide with one another and create a united look. I expected her products to be a true representation of just that. At first glance, I wasn’t surprised to find that her choices were light and glowy with subtle colors. They were products I could really see myself using on a daily basis and that alone was super important to me. In the collection, there are four different products to try. This includes two highlighters, a blush, and a lower lash mascara with a brow gel. All of these tiny gems are perfect in size and easily some of the most basic basic’s a girl could have. I’m a lover for things I can throw on into my purse and head out the door with. If I’m in a rush and need a little pop of product, these are ultimately the ones I’m reaching for. It’s very hard to find a mascara for the lower lashes without it being too clumpy or thick. 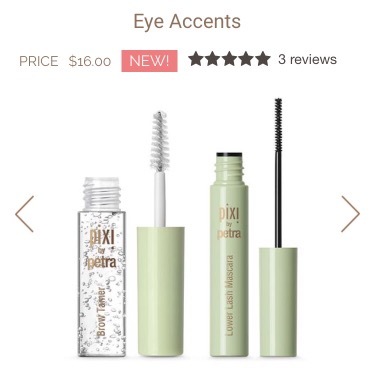 This mascara couldn’t be farther from that. This product was smooth and creamy which ultimately made it easy to apply. I didn’t have to alter the application by re-applying and trying to remove clumps, there were none! As far as the brow gel goes, there’s not much to say. It was similar to others I’ve tried in the past but I could feel a little difference in the hold. It lasted the entire day and kept my brows in perfect shape. Not too much to explain about this product besides the fact it served its purpose. Travel size, was one of the main features I thought set this gel apart from some of its competitors. 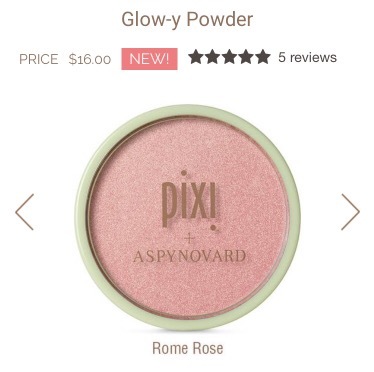 I pictured this highlighter, despite Aspyns beauty preferences, to be a little over powering. It looked very bright in the package and maybe too glowy for my skin tone. Fortunately, I was wrong. 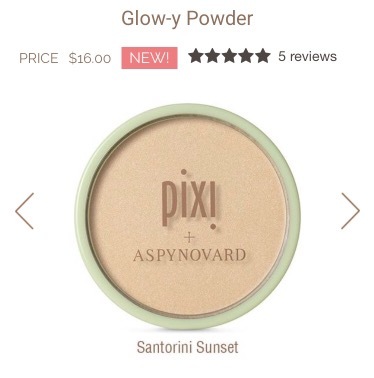 This powder is muted in color and allows you to apply as little or as much as you’d like. At times, I’ve found certain highlighters can be too bright, making a person look shinier than need be. With that said, I’m a huge fan of a natural looking face and dislike drawing too much attention to one area. That’s why this product is so good! The shade is great, the application lasts many hours, and I’m able to use this on a daily basis. This was the last product in the line I tried and again there’s mostly just good things to say about it. 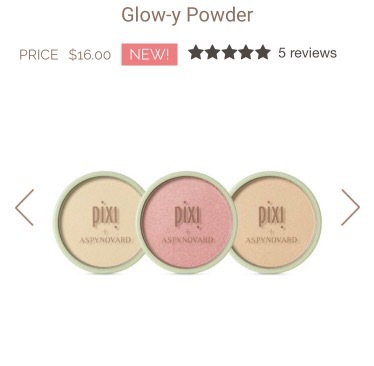 The blush styled glow powder has a slight bright undertone that allows it to turn from one product into another. 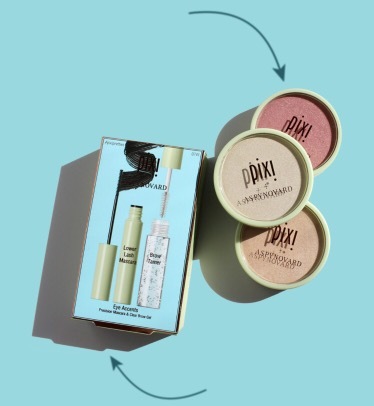 I’d say this item does a great job of combining two things every girl loves: a rosy cheek and a flawless highlight. I’m sure this combination was intentional, given the name “glow-y powder” but using it for the first time, was so unexpected! The final item in Aspyns collection I wasn’t able to get my hands on! They were completely sold out at my nearest Target. In conclusion though, I just want to say how collectively amazing this line is. I can most definitely see myself using these products daily for events or for those mornings when I just want to keep it easy. Let me know in the comments below or through my social media platforms if you have or are planning to try any of these! I’d love to hear your expert opinion and feedback! As always, those links are located on the homepage as well as down below. 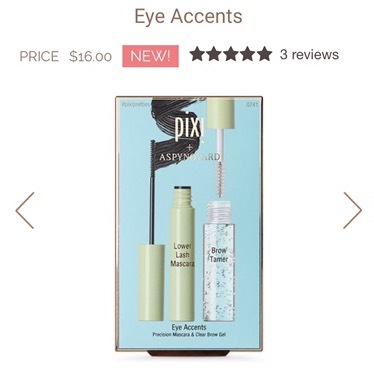 DISCLAIMER: ALL PHOTOS USED IN THIS POST ARE PROPERTY OF THE PIXIBEAUTY.COM WEBSITE. I DO NOT OWN IMAGES SHOWN.